KMS produces a 316 Stainless Double Row, Deep Groove, polymer cage design. 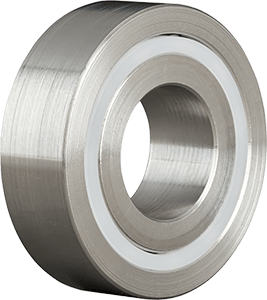 It is specifically designed to provide superior corrosion resistance when compared to conventional type 440C stainless or steel bearings. Double row offers increased loading capacity, durability and shaft rigidity.